It’s well written, the story is ok but in all honesty everything about it is just average. I wasn’t connecting to the characters, I was bored with the story and thought it was being dragged out so much longer than necessary and I have a million other things I want to read so much more… I know its harsh and I feel bad for giving up on it but I cant be doing reading an entire book that I’m not enjoying when I have loads of others I know I’ll love! 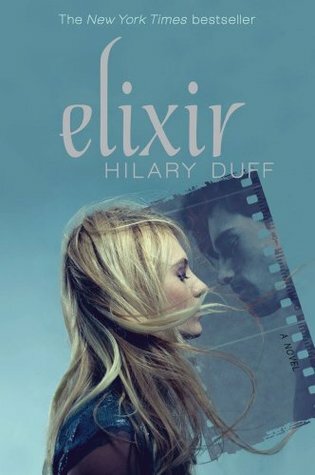 I do think if I was younger, in my teens still, I’d be fine with it, I would have gobbled this book up faster than you can say Lizzie McGuire… (I loved that show so I’ll always have a soft spot for Hilary Duff) I would have loved it but this is purely the type of thing I read when I was a teen, I loved contemporary books and although there is an element of paranormal in the book it is ultimately a love story I think. I would recommend this book but I think it suits a certain type of reader. I have friends who would happily read it and enjoy it and I know it’s not a bad book but it’s not a great one either. I know how you feel when you just can’t be bothered finishing a book – I do feel really guilty though. Shame it wasn’t a book for you, but its good to see an honest review! I love a good honest review, I’m the same. The whole ghostwriter thing annoys me, either do it yourself or just don’t. But that said Katie Price has a ghostwriter, Rebecca, and she made rather alot of money doing it.